The smartphone-connected system can perform five different tests that could help diagnose UTIs, diabetes, and kidney disease. 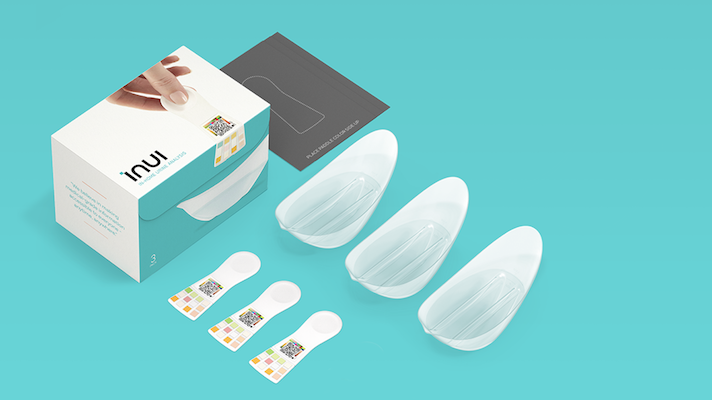 Silicon Valley home diagnostics company Scanadu, best known for its Indiegogo smash hit and Tricorder X-Prize competitor the Scanadu Scout, is coming back into the spotlight after a few years, now with a new name: inui Health. The company announced today that it has received FDA clearance for its smartphone-enabled home urine testing platform that can conduct five common tests, with more to come. The product is not the first smartphone-connected home urine testing product cleared by the FDA — in fact its one of at least three, along with Healthy.io and Scanwell, that’s come through in the last two years. But Tenodorio says it’s more advanced than the competition in several key ways. For one, they offer more tests than most. Additionally the company prides itself on its AI and data architecture that allows users to instantly access their own test results —compared competitors that require results to go through a provider before patients can see them. Finally, inui will support more than a dozen different phones out of the box. The system will be available from inui's website as a pack of three tests for $34.99, and the clinical version of the product is also available to enterprise customers who contact inui. Inui’s urine analysis project has been part of the company’s mission since the beginning — the company announced plans for a urinalysis product, at the time called ScanaFlo, back in 2012, along with a flu-testing product called ScanaFlu. But it was the company’s Scout device, a multifunction home health scanning device, that made the company famous after a blockbuster $1.6 million Indiegogo campaign, a record for the platform at the time. That campaign would become mired in controversy. In addition to significant delays, the company was made available to customers ahead of FDA clearance through an unorthodox arrangement. All project backers who backed at the level to receive a device were enrolled in a clinical trial so they could receive the unit as an investigative device. When the study concluded, the devices, which were only provided to backers at the $149 level and above, ceased to function. To what extent customers were aware of that outcome is a point of contention, but it certainly angered some number of customers, a few of whom dubbed the whole arrangement “Scamadu”. Tenodorio — who took over the company from founder Walter DeBrouwer in 2016, long after the Indiegogo campaign and near the conclusion of the trial, maintains that what happened with the Scout was on the level — and that the company narrowed its focus solely because of the overwhelming potential of the urinalysis product. Tenodorio didn’t respond definitively to the question of whether the company would ever revisit Scout, but said the company is exploring many ways to use its deep bench of intellectual property and that the backend architecture of inui was informed by learnings from the device. As for the new name, it was a matter of forging an identity that matched the company’s new direction.